About a dozen members visited the Croydon Airport Museum in the old Terminal Building, itself a Grade II listed building in a recognisably early 20th century neo-classical style. The building is oriented to the points of the compass rather than the line of the road. Meeting in the old arrivals and departure lounge the group were able to take a coffee at the snack bar and explore the visual panels of the Museum. Our guide gave us an overview of the layout and the history of this the first international Airport with its own purpose designed buildings. Although the lager part of the building is given over to commercial offices the foyer museum and the Control Tower convey the feel for what it must have been like in the early days of air travel. There are many photographs of the developments in air-travel and of the airport. Initially WW1 RAF Beddington and the NAtional Aircraft Factory No1 were combined with an enlarged runway and the new terminal. Displays of aircraft seating showed how important weight was, and still is, in commercial travel; some of the seating resembling Lloyd loom chairs! There were a number of families also visiting and the youngsters were drawn to a PC running a flight simulation giving the feel of taking off and landing an early airliner. Without exception they all crashed on landing but one of our young at heart members managed a safe landing. Honour satisfied we all repaired to the Gypsy Moth pub across the road for lunch, itself a reminder that Sir Francis Chichester had first flown aircraft from here before transferring his adventures and the name to yachts. Our apologies for the late Newsletter and publication of the programme it has proved very difficult to firm up the dates for speakers and events. Refreshments will be available before and after the meeting. NOMINATIONS for Officers and Committee (new members especially) are invited and can be made at AGM or to any member of the Committee prior to it. 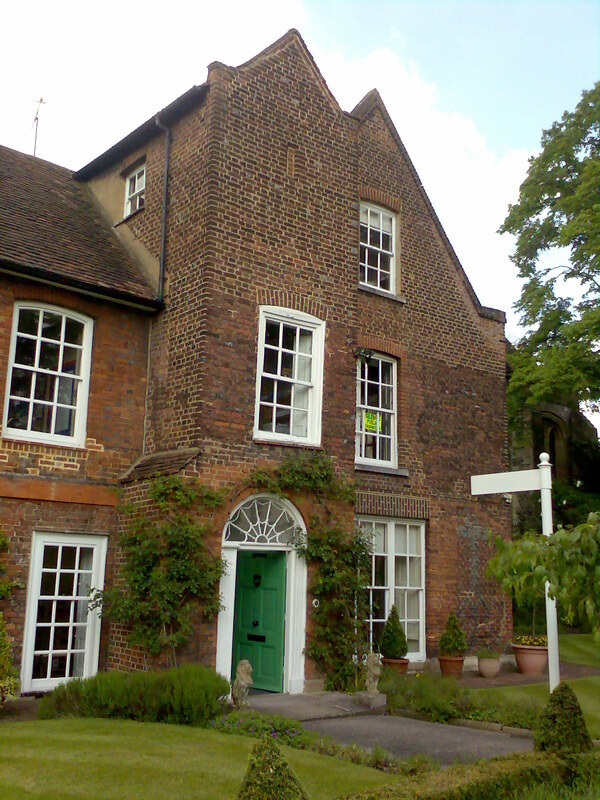 After the formal business Val Bott, MBE, MA, FMA, will give a talk on Hogarth’s House, its history, its occupants and its restoration. Members went on a visit in 2012. A second visit, the first in October 2012, to this popular Listed Grade II* building before it is adapted. Built in 1890 with extensions in 1904 and 1934 it was built as Fulham’s town hall until 1965 when Fulham & Hammersmith were amalgamated. Largely unaltered it contains many interesting features including Art Nouveau tiles and stained glass windows We will see the principal rooms, Grand Hall, Council chamber, Mayor’s Parlour, Grand Staircase, etc. H&F Council are selling the building to Dory Ventures for use as a shopping arcade, café/restaurant, residential flats. The Council chamber will be available for weddings and meetings. There will also be a Fulham & Hammersmith Museum independently run. The project leader is our Chairman, Keith Whitehouse. Come and hear all about it. 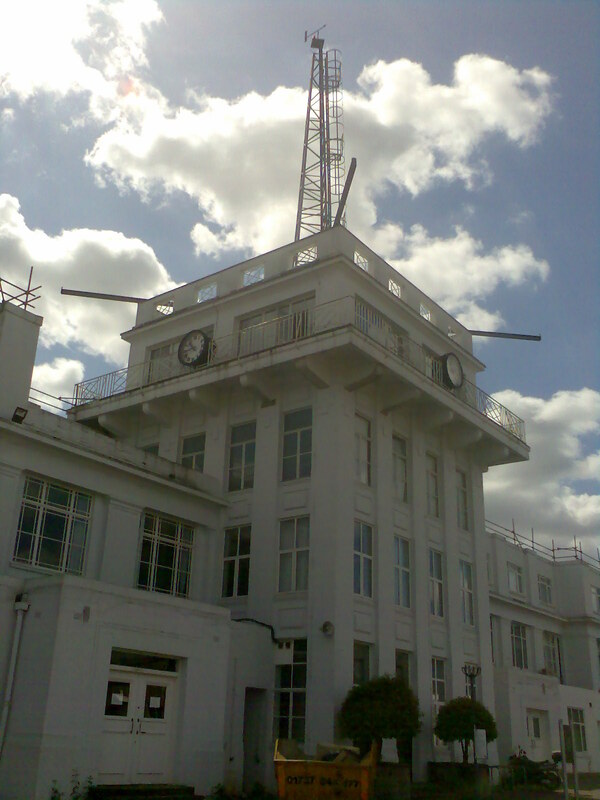 The worlds oldest airport buildings, the exhibition space is located in the Air Traffic Control Tower and charts the history of Croydon Airport from WW1 airfield, London’s International Airport (before Heathrow), Battle of Britain airfield. It closed in 1959. FREE There is a restaurant. To be held in the Jessie Mylne Education Centre, Fulham Palace. Further details in the Summer Newletter. Further details in the summer Newsletter. women such as Emma Hamilton, George Eliot and Charlotte Despard; Val Bott on 18th century women nursery gardeners, etc. Offers to help on the stall are welcome. A small group of ten society members met up in mid-October , having mostly travelled to Croydon by the convenient tram from Wimbledon to visit Croydon church, dedicated to St John Baptist and now renamed Croydon Minister. Here are buried 6 Archbishops of Canterbury, Archbishop Sheldon, who died in Croydon in 1677 being of particular interest, and Archbishop Warham. Archbishop Grindal,(1576-83) once exiled to Switzerland until Elizabeth I came to the throne of England has a memorial here and there are also brasses, and Clayton & Bell stained glass can be seen. Following a fire in 1867, which left only the Tower, now housing a ring of 12 bells cast by the Croydon firm of Gillett & Johnston in 1936, the South porch and outer walls remaining, the church, first recorded in the Domesday book, was rebuilt by Sir Gilbert Scott. The minster is in the midst of being restored. 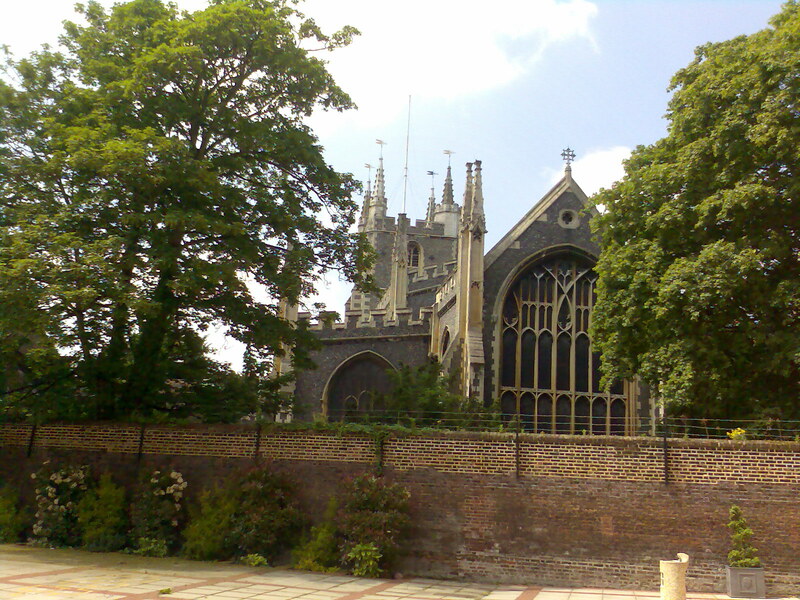 After lunch the group reconvened at the adjacent Croydon Palace ,the home of the Archbishops of Canterbury, until 1824, when they transferred their allegiance to Lambeth and New Addington Palace. The former Palace is now run as a girl’s school under the auspices of the Whitgift Foundation and so consequently the palace can only be visited in holiday times. Having joined some 70 other visitors in the Great Hall, with its massive tie-beams erected by Herring in 1748, and stone corbels with angels holding shields of Bishops’ coats-of-arms, including Laud and Juxon, we were conducted round the buildings which have now been adapted for modern education use, the Guard room being the school library with portrait of Sheldon displayed over the fireplace. Modern requirements of the school means that some of the perhaps more interesting features of the palace, with the exception of staircase balustrades, created by Laud (1633-45)or Juxon (1660-63)had been obscured, although their arms can be seen as bench ends in the chapel pews, whilst Laud’s gallery pew supports arms carved by Laud’s joiner , Adam Brown, who also created these desks and benches. A screen of Morton’s time (1486-1500) has a small barrel or tun carved on it, while stained glass in the chapel donated by the Glaziers company has had unclothed boy figures suitably censored subsequently, and the glass behind the altar (Clayton & Bell)has women of importance designed to inspire young ladies in the school. Further refurbishment of Laud’s work being necessitated by the interregnum when Sir William Brereton changed it into a kitchen. The palace is now undergoing yet further restoration and modification which it has been enduring for many centuries as walls fell down and it expanded to meet the needs and this has resulted in a very complex building with many building styles and unusual extensions. Visit if you can next year when work should be finished.